Chicken of the woods (Laetiporus sulphureus) within reach! This particular one was a tad too dry to eat sadly, however it can still be powdered and added to a campfire to deter mosquitos. In its prime it’s an unusual mushroom in that it does have the taste and texture of chicken. It can be fried, baked, casseroled or served in a curry and dried and crumbled is great for kibbeh and falafel. waw amazing! 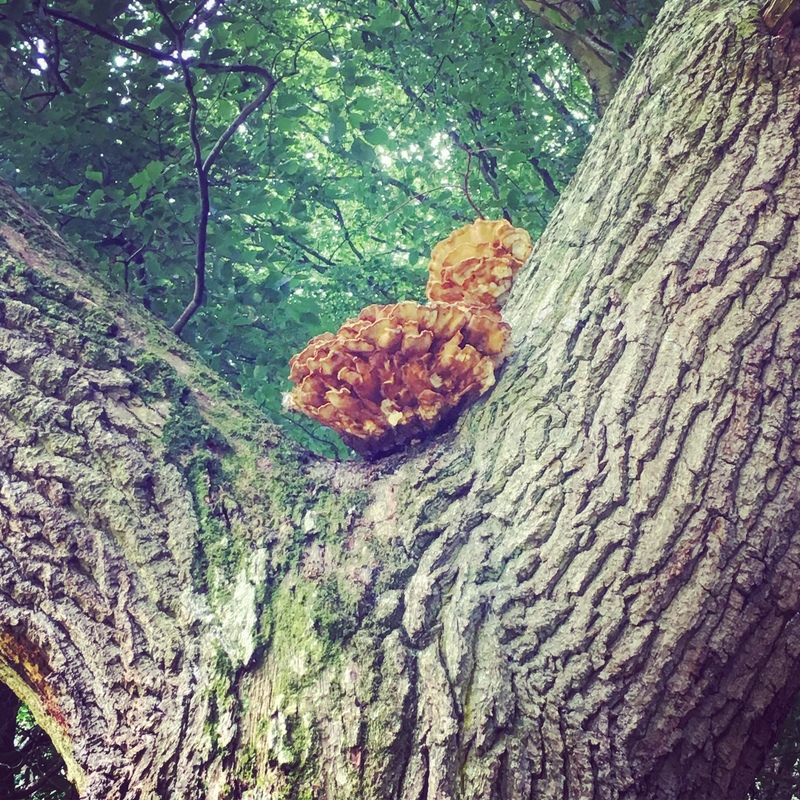 can I ask you on which trees chicken of the wood grow? and which time of the year is the most common? Up my way they particularly like cherry but will grow on a wide variety of trees, even yew. I’ve found them from May to September. It really depends on the weather but usually earlier in the year. Next PostAngel wings fungus. Angel of death?